Business Contracts: Contract disputes, drafting of contracts, amendments and review of contracts. Business Torts: Fraud, partnership disputes, licensing matters, breach of fiduciary duty, and more. Close Corporations and Minority Shareholder Rights: Disputes involving mergers, corporate actions, sale of assets and more. Partnership Disputes: Disputes involving partnership agreements, non-compete agreements, employment contracts and more. Construction Litigation: Matters relating to construction liens, third-party claim disputes, construction defect claims, and more. Real Estate Litigation: Residential and commercial real estate disputes. Employment Litigation: Representation for employers in disputes involving employment agreements, wrongful termination, discrimination and harassment, wage/hour claims, whistleblowing claims and more. 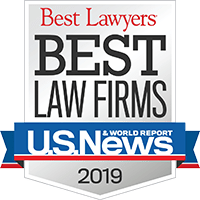 Unfair Competition and Misappropriation of Trade Secrets : Disputes involving deceptive or fraudulent actions that lead to consumer confusion and more. Our West Palm Beach contingency fee-based business litigation lawyers will not be paid unless a settlement or verdict is reached. 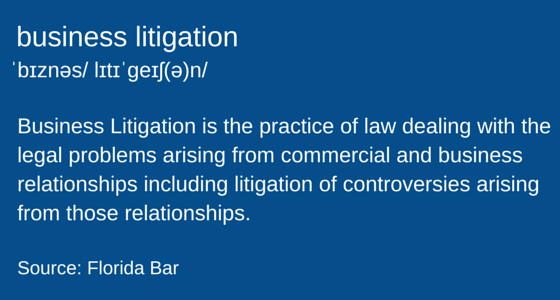 If you have a commercial litigation matter, contact our attorneys for a free consultation and case evaluation.